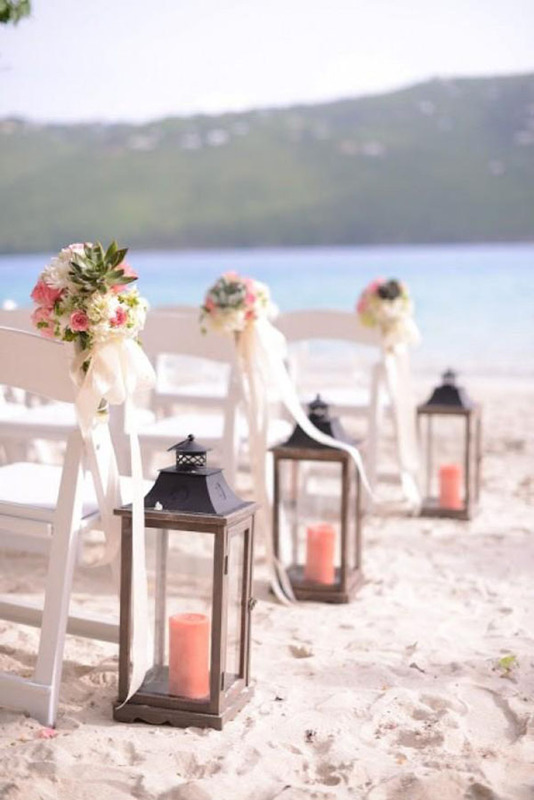 You may have noticed that themed weddings are the norm these days. Couples usually prefer a themed wedding because having a motif makes it easier for everybody to plan the wedding. A focus on a single theme will mean easier color, decoration, wedding favor and even venue coordination. A Beach themed wedding is perhaps one of the most popular motifs for weddings today. 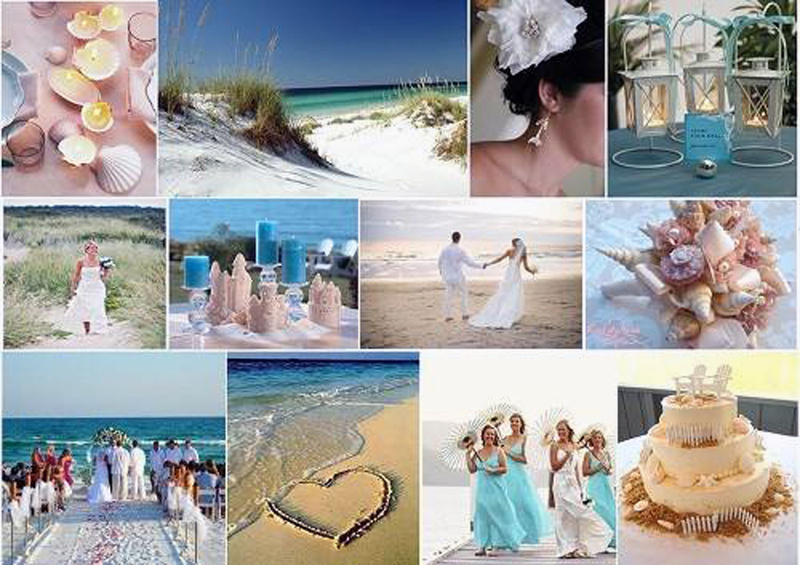 There are lots of beach wedding ideas in the internet. You just need some creativity and a lot of imagination. 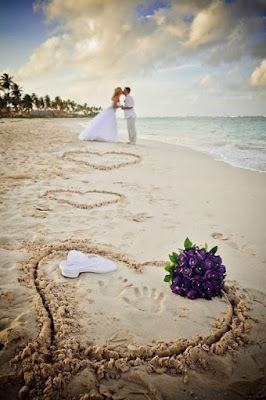 Beach weddings are fun and very exciting to plan for. 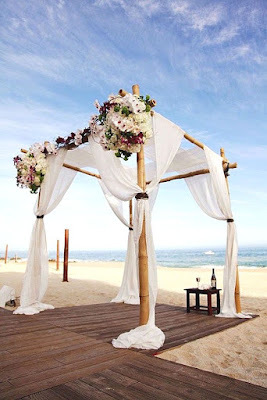 The atmosphere for beach weddings are light and gay but it can also be sweet and romantic at the same time. Nothing can be more heartwarming than having that first kiss during sunrise or sunset. 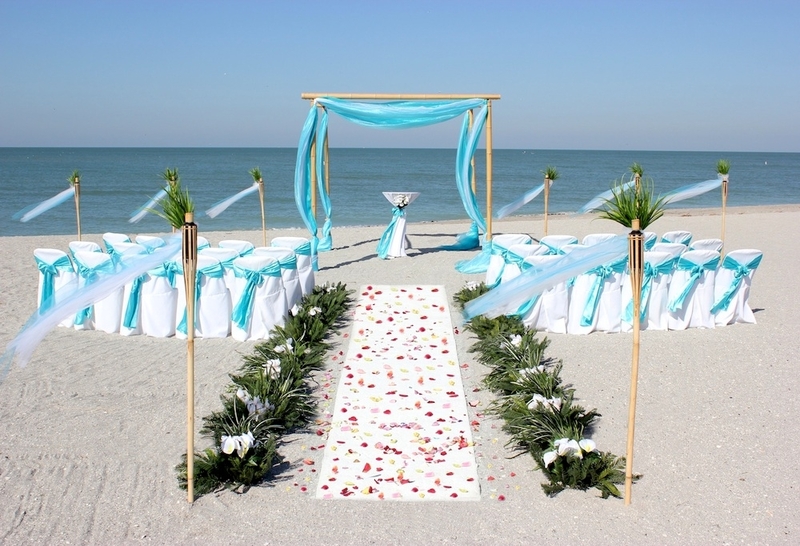 For any wedding, one of the first things on top of the checklist is the budget. 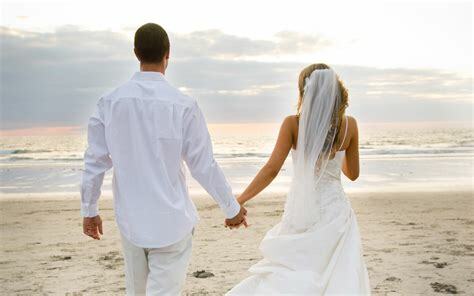 Depending on how much you plan to spend, beach themed weddings can be as affordable and as expensive as you want them to be. Once you have settled on a budget you are comfortable with, everything comes easily into place. The invitation sets easily conveys to your guests the theme of the wedding. 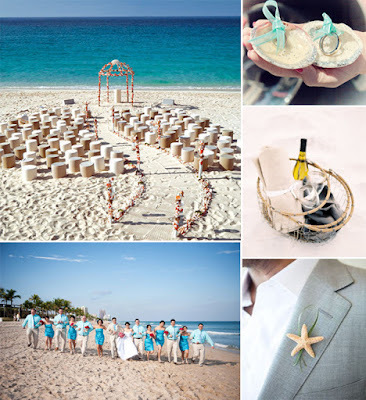 One of the cutest beach wedding ideas we have come across is to use starfishes as invitation decorations. You don't have to use an actual starfish but alternatives include Papier-mache starfishes, ceramic starfishes and even hand drawn starfishes. Food is another one of the most important considerations for any weddings. Most guests will expect at least a light snack or a full meal after the wedding. 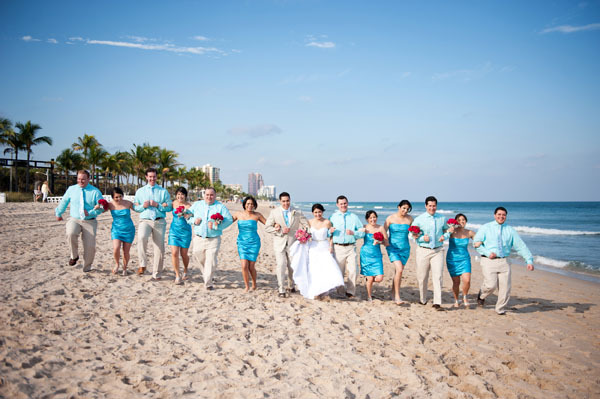 With beach weddings, receptions can be held indoors or outdoors. Ideas for food can include a barbecue or grilled assorted seafood. Dessert can range from ice cream to tropical fruits. Speaking of tropical fruits, these make beautiful centerpieces for your guests' tables. They can be arranged in beautiful and creative ways. 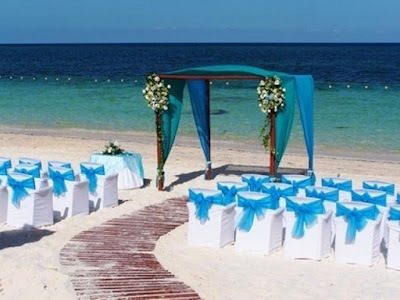 It gives the wedding reception a tropical beach feeling. The cake is the piece de resistance of any wedding reception. It symbolizes fertility and good luck. Wedding cakes have been a wedding tradition ever since the Roman Empire. 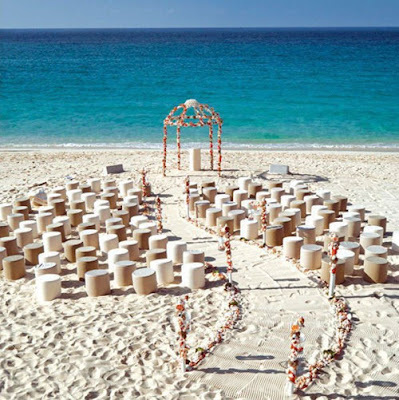 Wedding cakes for beach weddings can be decorated accordingly. Aside from starfishes, shells, wave designs, mermaids and corals; the whole sea can be an inspiration for your beach themed wedding cake. 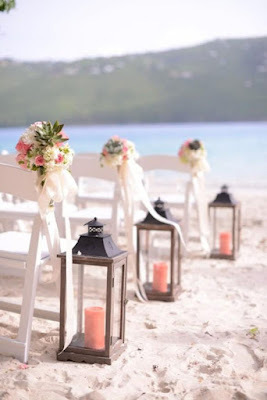 Beach wedding ideas are easy to come up with. Take your groomsmen's boutonniere for example. Instead of the typical red rose, why not exchange it for leis? The bridesmaid's headdresses and bouquets can be made from tropical flowers. Your cute little flower girls can wear hula costumes instead of gowns while they shower the aisle with colored sand and petals. 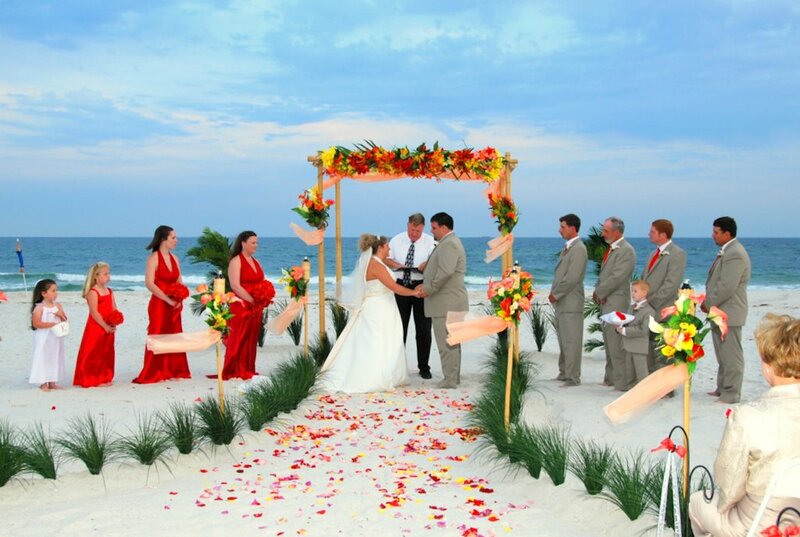 Perhaps the best thing about beach weddings is that you can hold the wedding and reception on the sands. The mood is almost always light and festive compared to church weddings. The wedding party can enjoy the view of the beach and be comfortable walking around either barefoot or wearing sandals. The beach is almost always breezy so you won't have to worry about fainting spells or stuffy atmosphere. Thinking up beach wedding ideas are an exercise not only in creativity and imagination but in originality as well. 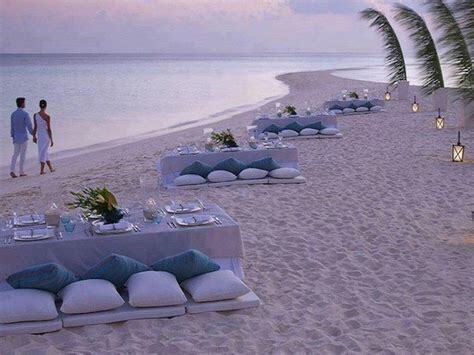 As it becomes more and more popular people are finding lots of ways of personalizing their beach I do's.